Burnley made it two wins in two, following up last week’s 2-0 home win against Wolves with a 3-1 win at Bournemouth, and we had to come from behind too after conceding an early goal. Ashley Barnes inadvertently scored the Bournemouth goal, heading an own goal past Tom Heaton but with just twenty minutes gone we were in front with goals from Chris Wood and Ashley Westwood while Barnes scored in the same end early in the second half to complete the scoring and become the first Burnley player to score for both teams in a top flight game since Peter Noble at Aston Villa back in 1975. It all made for an enjoyable day that started before 7 o’clock before we departed half an hour later for the long journey to the Dorset coast and, despite the oldest member of the party hitting the panic button when we got stuck in traffic, we were parked up in good time to take the walk across the park to Dean Court although, as in previous seasons, we did opt to give the Bubble Champagne Lounge a miss and made our way straight into the away section. Losing four games on the bounce does little for the confidence but all the enthusiasm and expectancy had returned after the Wolves win and there was a really positive feel around the Burnley fans ahead of the game. Sean Dyche had made one change to the side and it was one forced on him. Phil Bardsley suffered a bad gash to his leg in a training ground accident during the week and was replaced by Matt Lowton who was getting his first Premier League action since Boxing Day. Just a week ago we were pleased Bardsley hadn’t picked up a tenth yellow card that would have given him a two match ban and it now looks likely that he’ll miss at least that with this injury. For Lowton it was an opportunity to reclaim the position that had been his since December 2015 when he came in for Tendayi Darikwa after a miserable night at Middlesbrough. it was a significant appearance for him. Of his 105 league appearances for Burnley, 78 have now been in the Premier League and he can add a further 72 for Villa to that total which has now reached 150. I think he can be more than pleased with his performance yesterday, but I would say that it would be fair to say exactly the same about each and every one of our players on duty. It was, for me, the best away performance of the season and potentially the best since we won there in November 2017. This was always going to be a tricky fixture despite Bournemouth’s recent form. Since their big 4-0 win against Chelsea at the end of January, they’d won just once in eight games and that was at Huddersfield. Despite that, they don’t lose too often at home and the only teams to have won at Dean Court since our 2-1 win last season are Liverpool, Spurs and Manchester United last season and then Manchester United, Arsenal, Liverpool and Manchester City this season. 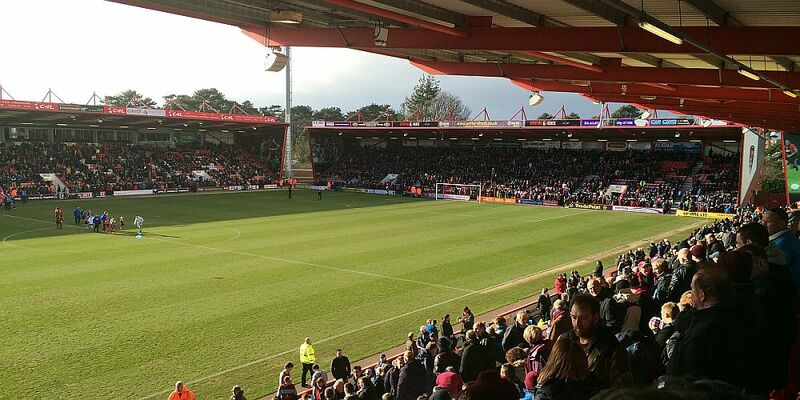 That’s how difficult it can be for visiting teams at Dean Court. One thing you probably shouldn’t do against a team so out of form is give them any encouragement but with only four minutes gone we did just that. From the first free kick of the afternoon, given against James Tarkowski, Ryan Fraser’s ball into the box was met by Jefferson Lerma but as Nathan Aké move in it was Barnes who got his head on it to steer it past Tom Heaton. It’s not the first time we’ve fallen behind so early in a game. There was Watford in the first home game of the season and a week later the same happened at Fulham. More recently, Everton and then Fulham again have gone in front even earlier in the game although we did come from behind to beat Fulham. Last week, Nuno said our early goal against Wolves had affected his team and I think the same happened to us for a few minutes yesterday. But we finally got into our stride and how. With only twenty minutes gone we were in front and it was a lead we hardly ever looked like losing. The equaliser came after Bournemouth had dealt with a Dwight McNeil cross at the expense of a corner on the left taken by Westwood. He sent it over to far post, above the flapping Asmir Begovic, for Wood to head home from almost on the line, scoring at the same end where he’d given us the lead last season. The celebrating Burnley fans didn’t have too long to calm down before number two went in. This time McNeil picked up a ball just outside the penalty box, took it wide and then, with little time and space, fired in a low cross. Chris Mepham, the Bournemouth central defender, played it right into the path of Westwood who passed the ball into the corner of the net. This game had changed. We were now on top and at no point did Bournemouth ever get the upper hand again. They did have one further chance in the first half that Callum Wilson headed over, but, other than that, it was very much Burnley on top throughout the remainder of the half. I’ve referred to McNeil playing a part in both goals. I think we all know who big an impact he’s had since breaking into the team. I’ve been watching him for the past three years now and could see the potential but he blew me away at times yesterday. It’s not often I’m in such a position on a ground, down the left wing and very close to the pitch, but he was inspirational and tormented England international full back Nathaniel Clyne. Eddie Howe suggested that Clyne had been withdrawn at half time because he’d received a yellow card. Not for one minute do I think that’s the case; Howe clearly had to try something different. He moved Adam Smith from left to right and brought on Diego Rico, a player who had struggled badly against us in our 4-0 win on the Turf. I’m not convinced Smith did any better job. We’d already had a handball shout against Aké, one I wouldn’t give but one you so often see given, when the now emergency right-back played his part in our third goal. Bournemouth headed a ball out but only as far as McNeil who played it to Charlie Taylor. Taylor made a run down the left that Bournemouth, very wrongly, thought had gone out of play. David Brooks just stopped and Smith decided to ignore the play and appeal for the throw in. Taylor kept going and crossed the ball. Wood got the better of Begovic and laid it back for Barnes to hit home into the corner right footed. Half of the fans behind the goal were pointing towards the side as if they’d had a bird’s eye view of the ball on the line. From a goal behind, we were now 3-1 up and so much on top you it had the ecstatic away end dancing and singing, aided and abetted by some bespectacled septuagenarian at the front who was orchestrating it all. “We are staying up, we are staying up,” was the cry. I’m sorry, but I’m too nervous for that. We’ve still got work to do now and we certainly had with half an hour still to go. But that clock ticked down yesterday without hardly an alarm. We were so much in control, so much better than Bournemouth that it would have been an absolute shock had they got back in it. The biggest scare came when Ben Mee, who had hardly put a foot wrong, gave away a free kick just a few yards outside our box and Junior Stanislas stepped up to take it. He got it very wrong and that, we thought, was it. We got to 90 minutes and up went the board for another four. Westwood got a ball smashed at him. It pole axed him. I’m not surprised it was Westwood. He was involved in just about everything. An assist, a goal, brilliant defensive work, controlling the midfield and getting up in support of the attack. Close to the end he cleared a ball from just outside our box and chased it down almost into their left-back position. Once that board had gone up for the extra minutes I reckoned we wouldn’t conceded two so relaxed somewhat. Wilson hit one over the bar in the last of those minutes with the party in the away end by now well and truly underway. The noise levels lifted even further when Martin Atkinson blew his final whistle just after the beleaguered Smith had tried to take on all comers and got a card for his troubles. Dyche came across and he was followed by the players. Much is said of the togetherness in our dressing room and, my word, it was there for all to see yesterday. The sheer delight and emotion on the faces of our players told you just how much that result meant to them. I can tell you, it meant every bit as much to all the Burnley fans in the away section. It wasn’t quite time to make our way home. We’d booked our stop in Abingdon on the return journey at the Brewery Tap. It’s a pub and eatery we’ve visited before. We enjoyed a couple of drinks, had some food and the mood was good. That was no surprise given the result and the performance. We can add Bournemouth to Brighton now in terms of having done the double over them. There is one other club we could still add to that list and if we do beat Cardiff next week then even I’ll be singing: “We are staying up,” and I’d all but given up on it at Christmas. We’ve also created a new Premier League record for ourselves too. Bournemouth are the first team we’ve ever scored seven goals against in a Premier League season, beating the six we got against Hull in the 2009/10 season. And we’ve also scored more goals against Bournemouth in the Dyche era than any other club, moving ahead of Charlton. I’ll have a few nerves as we approach the Cardiff game but for now I’m just going to enjoy yesterday’s performance and result. Bournemouth: Asmir Begovic, Nathaniel Clyne (Diego Rico ht), Chris Mepham, Nathan Aké, Adam Smith, David Brooks, Dan Gosling (Dominic Solanke 59), Jefferson Lerma, (Junior Stanislas 71), Ryan Fraser, Josh King, Callum Wilson. Subs not used: Arthur Boruc, Jack Simpson, Lys Mousset, Jordon Ibe. Yellow Cards: Nathaniel Clyne, Adam Smith. Burnley: Tom Heaton, Matt Lowton, James Tarkowski, Ben Mee, Charlie Taylor, Jeff Hendrick (Jόhann Berg Guðmundsson 82), Ashley Westwood, Jack Cork, Dwight McNeil, Ashley Barnes, Chris Wood. Subs not used: Joe Hart, Kevin Long, Ben Gibson, Stephen Ward, Robbie Brady, Matěj Vydra. Yellow Cards: Jeff Hendrick, Ashley Barnes, Ben Mee.